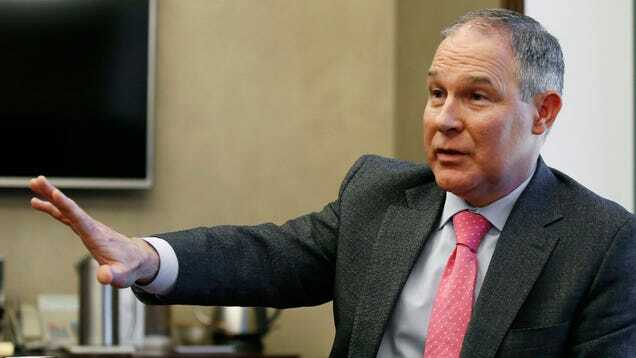 On the heels of revelations that he called President Donald Trump an “empty vessel” in 2016, EPA Chief Scott Pruitt is now thinking this whole global warming thing might not be so bad after all. 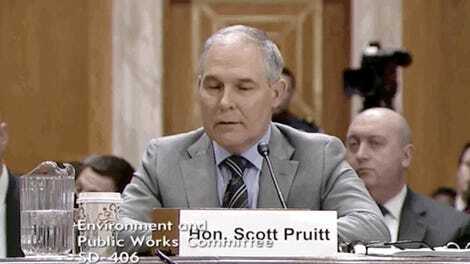 The recent televised comments came just a week after Pruitt told the Senate Environmental and Public Works Committee that his now-infamous “red-team blue team” debate won’t be centered on the question of whether climate change is happening (it is), but the more nuanced inquiries befitting of an artfully-crafted public misinformation campaign, like Earth’s ideal temperature. Not that it’ll make a difference to Pruitt as he continues dismantling the agency he was appointed to lead, but the National Climate Assessment released by the Trump administration last fall offers some clues as to how “ideal” future human-driven temperature changes may be. On our current global warming trajectory, the world is in for one to four feet of sea level rise by 2100, an amount that’ll displace millions. Life-threatening floods, heat waves, and destructive mega-fires will become more common. In the US alone, climate change impacts could cost the government $34 to $100 billion a year by century’s end, Bloomberg reports. But, hey, I suppose those Midwestern winters could lose their edge.